In terms of his tastes, Wood is often considered an antiquarian. As exemplified by “Designated Haters”, the n+1 article on Wood and The New Republic (the magazine he wrote for before he decamped to The New Yorker), received wisdom has it that Wood prefers 19th and 20th century writers above all else. This isn’t necessarily accurate. True, Wood does like a certain type of literature. Owing to this, he’s been criticized for judging books not for what they attempt and achieve, but how well an author meets his aesthetic criteria. Everyone knows he disdains the clatter, the outlandish plots, the hyperactive narration (or “hysterical realism,” as he calls it) common to postmodern literature. What Wood desires, above all other considerations, is evidence of a style that is sensitive to how characters are drawn, how metaphors are used, how verisimilitude functions, etc. How Fiction Works can be understood as Wood’s celebration of what we call “art for art’s sake.” He has no patience for writers who try to deflect attention from their stylistic deficiencies by pontificating aloud, “Well, what is style, anyway?” and then dump a veritable Merck Manual of jargon on our laps. The notion that Wood worships an extinct aesthetic is as accurate as those who believe the novel itself to be dead. Novels that focus on characters as people rather that socially constructed ideas are very much alive and well. Michael Thomas’ novel Man Gone Down is an excellent example. The novels of the late W.G. Sebald — who Wood himself has championed over the years — are another, as are the stories of Charles D’Ambrosio. The aspect to be conscious of with How Fiction Works (and it’s likely Wood would agree) are the fundamental conclusions the critic makes on how fiction functions. Francine Prose faced the same hurdle in Reading like a Writer. The book’s flow felt like alterations between quote and content: Prose extolled certain virtues by reproducing excerpts from her favorite books (such as the dialogue in Henry Green’s Loving) with her thoughts on what makes them so great. 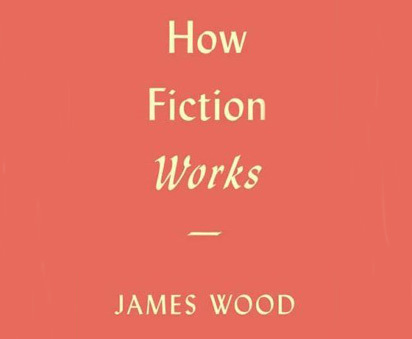 Though Wood relies on samples from well-regarded novels and short stories far less often than Prose, How Fiction Works follows the same essential formula. On one hand, it’s hard to criticize such an approach. If graduate students spent more time studying the likes of Stendhal, Tolstoy and Flaubert than participating in ego-stroking workshops, perhaps the creation of literature would be more a fruitful enterprise (and Wood wouldn’t have so much to rail against). On the other hand, it’s hard not to wonder, in the context that both Wood and Prose write from, in which direction their ideas are advancing. For every example, let’s say, of the pristine use of detail, can’t one think of a similarly qualified example from a completely different piece of literature? What makes Conrad’s use of detail more compelling than Kadaré’s? The process of reading and writing varies so dramatically from one person to the next, their motives and aesthetics all so wildly different, it’s problematic to say, “This is what we must do as writers.” By doing so, Wood sets himself up for more of the same criticism: that his literary utopia lies in a reversion to Romantic literature. But Wood doesn’t seem to be instructing practitioners on how they should write; he’s suggesting how they should learn. The idea isn’t to mimic Henry James, it’s to understand how he used form — metaphor, perspective, detail — as a way to enhance his art. One can argue with his preferences, but it’s hard to discredit his polemic, the value of precise attention to aesthetic fundamentals. Nonetheless, there’s much more to Wood’s book than simply setting the stage for literary debate. How Fiction Works is a wonderful reminder that fiction is an art form not to be taken lightly. The groundwork for the critic’s ambitions is laid out in the book’s preface, where Wood likens his purpose to that of John Ruskin’s Elements of Drawing, “a patient primer, intended…to help the practicing painter, the curious viewer, the ordinary art lover.” Ruskin’s book calls attention to the artist’s brushstrokes, the detail — how what the eye sees is recreated in art through attention to detail, to form. The same process of creation is at work in the novel, according to Wood, for “fiction is both artifice and verisimilitude.” The trick is getting the artifice to connect with the world through the techniques of fiction. What Wood’s exuberant writing allows for are those select moments when the gap between the real and the artifice is bridged by the likes of Tolstoy, Joyce and Bellow: the writers who understood — intuitively, perhaps — exactly how fiction was meant to work.